1. A presentation on recommendations regarding a budget committee (18-075) Presentation only. Council requested that staff distribute the committee recommendation from the Administration for review. This item will be scheduled for the October 9, 2018 Work Meeting for further Council discussion. A motion to move the resolution as amended to the October 9, 2018 Council Meeting agenda was approved 7:0. 3. 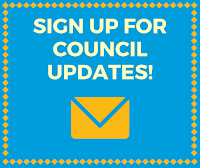 A discussion regarding public comments received from the Draft Environmental Assessment and an update on the Final Environmental Assessment preparation for the proposed Land and Water Conversion Fund property conversion (17-036) Presentation only. 4. A discussion on temporary Justice Court judges (18-089) A motion to place this item on the consent agenda for the October 9, 2018 Council Meeting was approved 7:0. 5. A discussion on the appointment of a Justice Court Constable (18-091) A motion to place this item on the consent agenda for the October 9, 2018 Council Meeting was approved 7:0. A motion to prepare an ordinance authorizing the negotiation and execution of a development agreement and approving the rezone, effective once the development agreement has been executed, was approved 7:0. This item was already scheduled for the September 25, 2018 Council Meeting; this ordinance replaces the version referenced by the implied motion. 7. A presentation on Ranked Choice Voting by FairVote (18-088) Presentation only. 8. The Municipal Council or the Governing Board of the Redevelopment Agency will consider a motion to close the meeting for the purposes of holding a strategy session to discuss pending or reasonably imminent litigation, and/or to discuss the purchase, sale, exchange, or lease of real property, and/or the character, professional competence, or physical or mental health of an individual in conformance with § 52-4-204 and 52-4-205 et. seq., Utah Code. None requested. 1. Neighborhood Spotlight - Rock Canyon Neighborhood. Presentation only. 2. A presentation of the Employee of the Month for September 2018. Presentation only. Continued per Council Rules at the request of Councilor George Handley. 5. 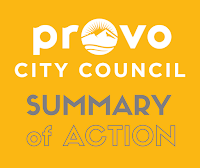 **ITEM HAS BEEN CONTINUED** An ordinance amending Provo City Code to increase buffering requirements and transitional standards when certain uses are adjacent to a residential zone. City-wide Impact. (PLOTA20180216) Item was previously continued. 6. 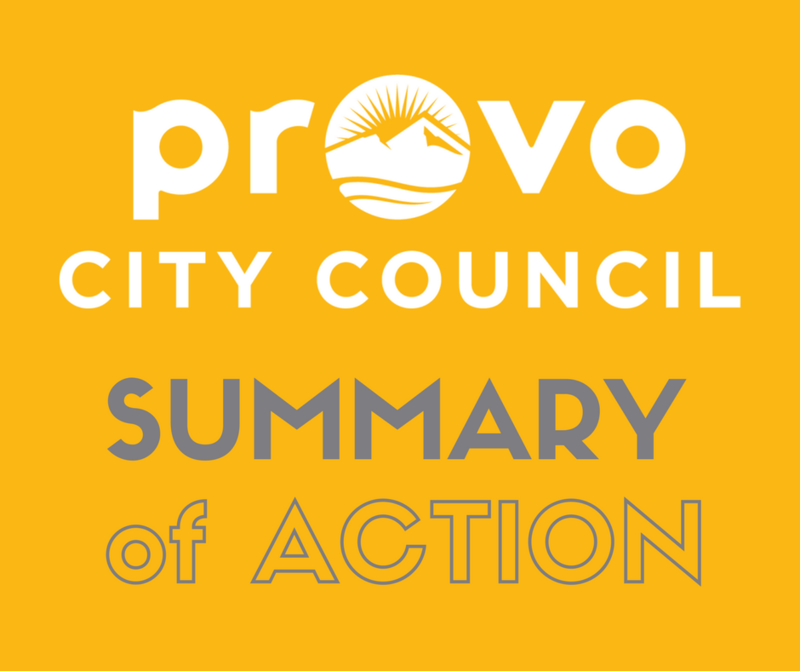 **ITEM HAS BEEN CONTINUED** An ordinance amending Provo City Code to increase the amount of residential development in the Regional Shopping Center (SC3) Zone. City-wide Impact. (PLOTA20180231) Item was previously continued. **ITEM HAS BEEN CONTINUED** An ordinance to amend the General Plan regarding the future Land Use Map that included Provo City Land west of the I-15 freeway, and south of the Provo River. Lakewood, Sunset, Provo Bay, and Fort Utah Neighborhoods. (PLGPA20180225) Item was previously continued. 10. **ITEM TO START AT/OR AFTER 6:30 PM** A public meeting allowing for the presentation of arguments for and against the proposition to issue up to $69 million of general obligation bonds for the purpose of financing the costs of acquiring, constructing, and equipping in the downtown area a new police and fire headquarters, emergency dispatch center, and city hall; acquiring, constructing, and equipping a new fire station to replace the fire station on Canyon Road, and providing for related improvements in Provo City. (18-073) Public hearing only. 11. A public hearing regarding (i) the proposed issuance of up to $69 million of general obligation bonds for the purpose of financing the costs of acquiring, constructing, and equipping in the downtown area a new police and fire headquarters, emergency dispatch center, and city hall; acquiring, constructing, and equipping a new fire station to replace the fire station on Canyon Road, and providing for related improvements in Provo City; and (ii) the economic impact of the project on the private sector. (18-073) Public hearing only. Video recordings: Joint meeting with Energy Board, Work Meeting, and Council Meeting.